I guess having a wheat spaghetti is not the most kosher thing one can eat during Passover but we tend to bend the rules. After having some matzoh and butter for hors d’oeuvres, we had an easy pasta with some jazzed up jarred spaghetti sauce. To the plain sauce we added ground beef, onions, garlic, and red wine. I topped my with a little arugula, fresh cherry tomatoes, Parmesan cheese, and olive oil. It was comfort food plus! 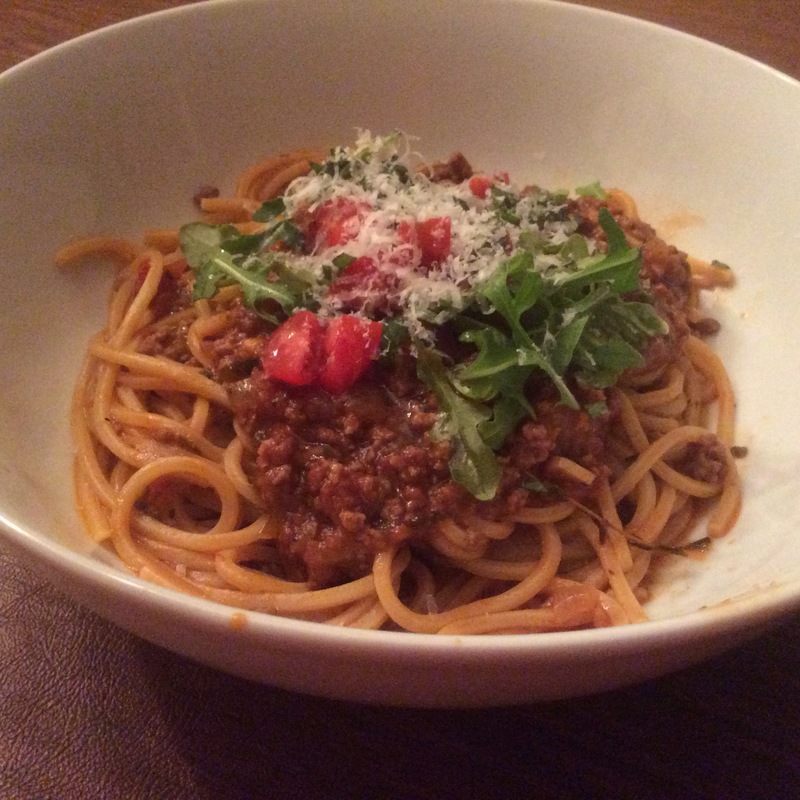 This entry was posted in Uncategorized and tagged Italian, meat sauce, Spaghetti. Bookmark the permalink.